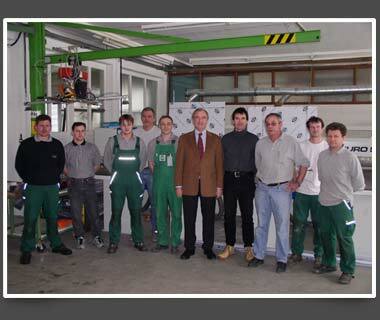 It's a long time since SEGE safety windows conquered the international market. In addition to countries with German-speaking population and the majority of EU countries, we also have regular customers in Japan, Brazil and the U.S.A.
SEGE is the leading manufacturing that has specialized exclusively in the design, assembling and installation of safety windows in machine protection. Glass and polycarbonate are the ingredients to our formula for success. By combining these two substances, we manufacture a product that guarantees long-lasting transparency, high durability, easy installation and a high safety level.